There’s a lot more to being on your law review’s editorial board than getting out the next volume on time. Each e-board takes the helm of their law review and must steer the publication towards future success. To paraphrase Invictus: You are the masters of your law review’s fate. You are the captains of its sole. Too much? Okay, we’ll take it down a notch. But, building off of our previous boating analogy, as captains you have to be prepared to travel uncharted waters. Many law reviews are yet to explore all the possibilities of digital publishing, and they’re missing out on opportunities to better serve authors and readers as a result. The digital publishing waters are vast, and you may be wondering where to begin. Here are three key areas of digital publishing that every law review should prioritize. It’s pretty difficult to steer a ship if you don’t have full control over it. Many law reviews find themselves in this situation when trying to update their websites. Even minor changes can be too much for editors to tackle if their site is built with custom code or uses a complex content management system. If your law review’s e-board is not able to easily update your website, finding a way to make that possible should be one of your top priorities. One of the best options is to adopt an easy-to-edit website template. For example, Scholastica’s online publishing platform features a website template that makes it possible for editors to update their website’s copy, colors, images, and even add custom pages to their website—all without needing to know any code. In recent interviews, both Houston Law Review and Capital Law Review shared how they’ve been able to improve their online publications and give editors more control over online content using Scholastica’s publishing software. It’s no secret that scholars are conducting the majority of their research online. So law reviews should be focused on optimizing their websites for easy article browsing. Does my law review’s website look like that of an online publication I would like to read? Be honest! Many law reviews miss the mark. Too often law review websites consist of lists of volume numbers that readers have to click on to then access lists of articles. This print-based publishing convention is not optimal for online reading. Think about it—do you like clicking through lists of titles to find relevant articles? It gets pretty tedious! Worse yet, what if you have to squint at your smartphone to navigate the website you’re on because it isn’t mobile-friendly? No bueno! And this is the case for many law reviews. If your website doesn’t have this kind of functionality, adding it will likely require custom development work. This is another reason to look for a website template that can do the heavy lifting for you. Using a website template can also help your law review stay on top of more technical aspects of website design and maintenance including search engine optimization (SEO), security standards and data compliance, continuous backups, and even indexing. For example, Scholastica offers automatic Google Scholar indexing for all articles published via our platform. Finally, your law review should be producing articles in formats that are conducive to online reading. The PDF is not. We repeat, the PDF is not. The PDF was designed to be the standard format for delivering final page layouts for print, not for digital publishing. Many law reviews, like Houston Law Review, have transitioned to producing articles in both PDF and HTML because HTML articles offer a superior online reading experience. Responsive HTML articles are accessible from all mobile devices and support embedded media and reference linking among other benefits. HTML articles can also improve your law review’s search rankings. While PDFs are overwhelmingly not searchable, HTML articles are crawled by all search engines. Many search engines, including Google, have begun to favor mobile-friendly content in their search algorithms. So websites with mobile-friendly content get priority in search rankings. The ability to link references in HTML articles also has search benefits. Web crawlers rely on the links embedded within a webpage to determine how the page relates to different content online. When a journal article has linked references it helps search engines understand what content the article relates to so they can more easily serve up the article when searchers submit related queries. Your law review can easily produce HTML articles and even improve its PDF article production with the help of a typesetting service provider. For example, Scholastica offers a full-service typesetting solution. Journals just submit their DOCX article files and any accompanying images, tables, or graphics and we take care of all typesetting needs formatting articles into professional PDF, HTML, and XML files. We even work with authors during the proofing stage to save editors time. You can take a behind the scenes tour of Scholastica’s typesetting service here. Overall, your law review’s online content should be fresh, engaging, easy to find, and accessible from any device. As you build out your digital publishing strategy make sure you’re using the best publishing tools and services to meet your law review’s needs and that you’re considering both the immediate and long-term needs of readers. 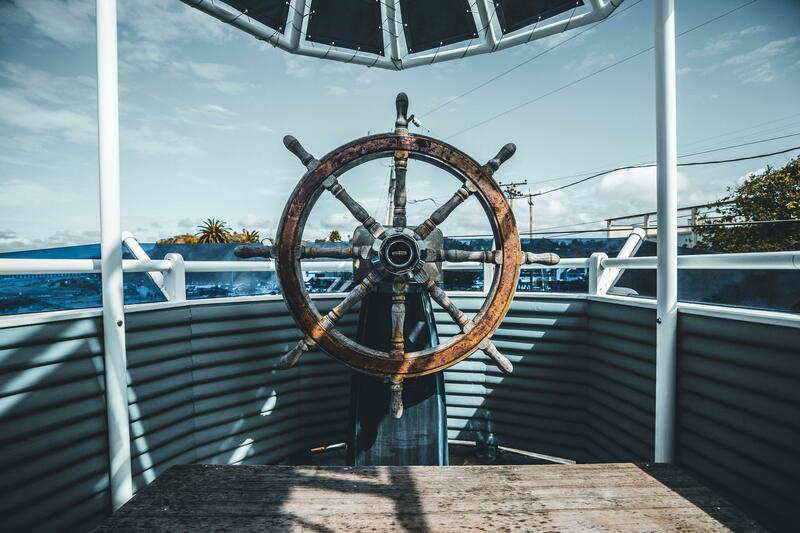 Whether your law review is about to embark on a journey to more digitally-driven publishing waters or you’ve already set sail, the tips in this post will help you chart your course and take your law review in new and exciting directions.